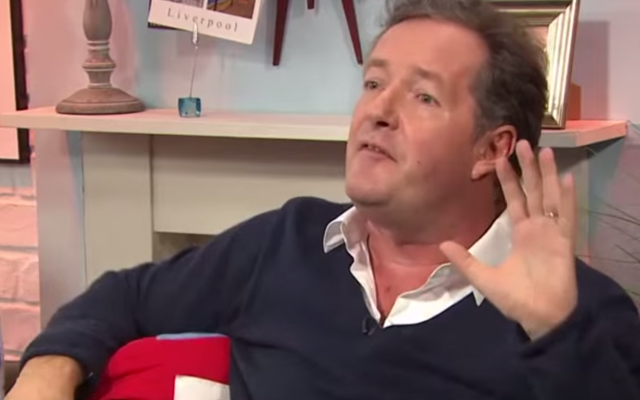 Celebrity Arsenal fan Piers Morgan proceeded to reignite his social media tension with former Liverpool striker Michael Owen following their much publicised debate on TV before Arsenal’s 4-1 victory against Liverpool. On that day, Owen claimed that Raheem Sterling was better than Mesut Ozil and that the Reds could win the FA Cup, to which Piers responded to in typical fashion once he was seated on BT Sport’s couch at the Emirates Stadium. ‘Liverpool will win the FA Cup, Arsenal won’t make PL Top4 and Sterling’s better than Ozil’. – @themichaelowen, April 4, 2015. Following Liverpool’s exit to Aston Villa in the semi-final on Sunday, the controversial Arsenal fan couldn’t help but have another dig at the BT Sport pundit. To Piers’ delight, Arsenal have safely secured their passage into the FA Cup semi-final against Reading as Mesut Ozil and Alexis Sanchez starred. The latter is a player Liverpool desperately wanted and this season, he has essentially been the difference between the two sides. With a top four place unlikely now, Liverpool could be undergo some huge changes this summer.